When you buy aged beef fillet 28 days hung or more; it will be a larder trimmed centre cut steak guaranteed. 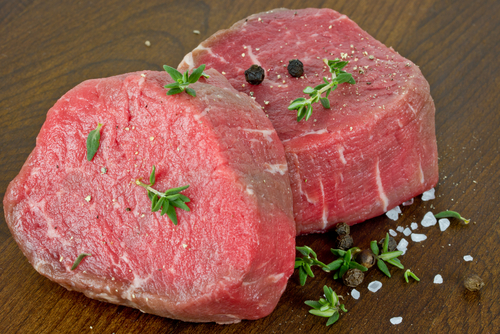 Our beef fillet is a beautifully tender and flavoursome steak; they are cut from ‘sides of beef’ hung in-store. That is how we can guarantee the quality you buy; the trace-ability is simple. We are all aware of the horse meat scandal and what the big companies have been up to that’s why buying from our family company such as ‘Chadwick’s butchers’, guarantees that when we say its beef it really is beef.